Attracting new customers can be tough. Many traditional lead generation methods are falling short whilst taking a big chunk out of marketing budgets. 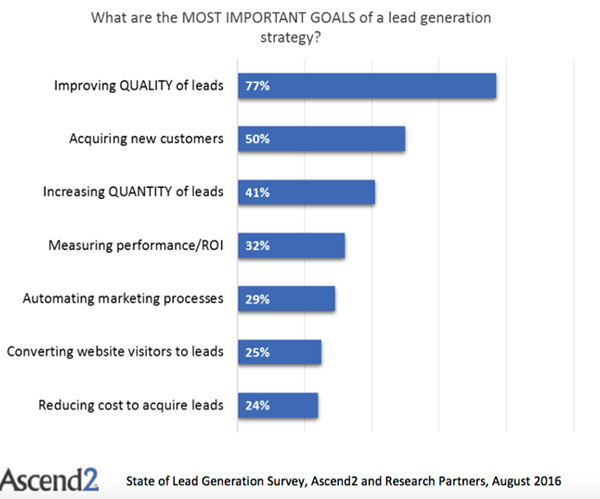 As the graph below from Ascend2 demonstrates, more and more businesses are realizing that when it comes to generating new leads, it's best to aim for quality over quantity. However, this often causes problems in itself; how can you ensure you have the best, most relevant leads at hand without breaking the bank? As plenty of companies are beginning to find out, sourcing leads from a B2B data provider is often a great place to start. With several options on the market though, it can be confusing trying to decide which offers the best value. With that in mind, in this article we'll look at the pros and cons of five of the top-rated providers around. Instant Access - Accruing leads using traditional techniques such as offering downloads, email newsletters and in-person at events often takes a lot of time - and ad campaigns can be very expensive to set up. With a company database, you gain immediate access to contact information for thousands of potential new leads. Regularly Updated - Today's business world is more fast-paced than ever before, with thousands of new companies being set up every day, staff hires and exits, and address/contact information changes. Manually keeping up with all of this is understandably a headache, but by choosing a B2B you no longer have to keep checking and updating information. Detailed Insights - A decent B2B information provider doesn't just offer contact details, but a wealth of other valuable insights such as credit score, revenue, office locations, and number of employees. Having a more in-depth picture of a company will ensure you can make better business decisions with much less risk. Segmented Campaigns - If your chosen B2B data provider offers filters to narrow down your search, you'll not only be able to create highly-targeted contact lists, but also segmented campaigns, based on factors such as location, industry, business size and more. This will allow you to adapt your marketing messages for each segment to better engage each one. After being acquired by Dun & Bradstreet in 2017, the D&B Hoovers solution was launched in replacement of the previous Hoover's product. Alongside basic business information, the solution also offers more in-depth insights into companies in order for sales and marketing professionals to get a complete overview of their prospects. Recognizable Brand - Both Dun & Bradstreet and Hoovers are well-established brands with a good reputation, and are trusted by many marketers as a result. Large Amounts of Data - Hoover's database contains 100 million contacts from around 85 million companies across hundreds of industries worldwide. Commercial and Private – Through Dun & Bradstreet's credit checking facility, you are able to check credit reports for both businesses and individuals, so you can carry out a detailed risk assessment before doing deals. Unclear Pricing - Without a clear and transparent pricing model, some businesses may find they are being charged more than others. Unlike some providers, Hoovers also charge for data exports via Excel/CSV. Limited Data - Because Hoovers is only able to offer direct contact details for individuals based in the US, many marketers aiming to target individuals in other countries will be left without the information they need. Troubling Accusations - Dun & Bradstreet faced a class action lawsuit in 2014, accusing the company of scamming small businesses by presenting them with allegedly falsified credit reports and then directing them to purchase a product to rebuild their reputation. Global Database is a newer addition to the market, providing marketing and sales team with access to over 62 million contacts across 192 countries. Transparency - Global Database offers clear pricing, available to check on their website. Because it's all-inclusive, users are able to enjoy regular updates including fresh leads every day, as well as free and unlimited exports via Excel. Manual Checks - As well as patented web-crawling technology to automatically update records, Global Database also uses a team of in-house staff to manually check over the data to ensure there are no inaccuracies the software may have missed. All of these consistent and thorough checks mean the provider always has an accuracy rating of at least 93%. Reputation – Despite being relatively new to the industry, Global Database is already trusted by market-leading companies such as Microsoft, Avaya, Cisco, KPMG, Maserati, DHL, Dupont, Iveco, Caterpillar, Ipsos, Motorola Solutions, Experian and many more. No Cellphones - Despite having direct dial numbers, the platform doesn't offer any cellphone numbers for the contacts in its database. Cost - Annual subscriptions start at USD $1990, which may be out of budget for smaller companies and start-ups. Formed in 2000, ZoomInfo is one of the most recognizable providers on the market, and have previously been awarded a place on the Inc. 5000 fastest-growing private companies list. 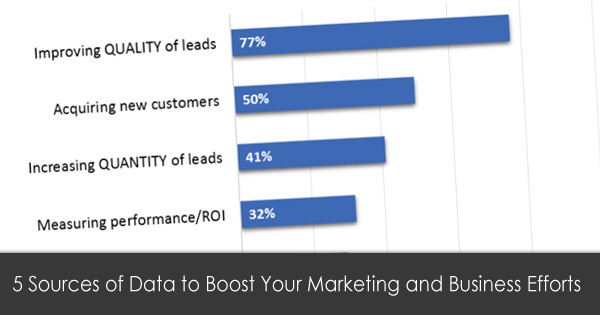 Good Amount of Data - With around 140 million contacts across 9 million companies, you should have a good chance of finding some relevant leads for your campaign. Enrichment Available - ZoomInfo provide additional data processing that adds additional value for their customers. Adding context to the data allows for more granular segmentation and finer campaign targeting. Low Bounce Rate - The company states that they have an email deliverability rate of 95%. Unconventional Pricing Method - Zoominfo uses a pre-paid credit system, charging your account each time you look at/download a record from their database. Because of this, maintaining a budget for your email list can prove rather tricky. Potentially Unethical Data Sourcing - The platform requires users to upload their address books to the database via an Outlook plugin, and as a result many people will find their contact information published without having given their consent. Clear bit's Prospector tool allows you to create contact lists from its database of over 200 million contacts, across 20 million companies. The information they provide includes email addresses, phone numbers, and company profiles to give you a well-rounded picture of each entry. Ease of Use - The platform is quick and simple to use, so anyone in your sales and marketing team can use it from the get-go. Customer Service - Users of the platform consistently state that the company's customer service has exceeded their expectations. Filterable Data - You can use factors such as job role, seniority, location and size to filter your search and find the most suitable contacts for your campaign. Very Expensive - With access priced at USD $999 a month, it is definitely one of the most expensive providers, and the fact that it's billed annually will mean it is way out of budget for many businesses. Previously trading under the name Jigsaw, Data.com's Connect tool is an online database containing over 29 million contacts from 4 million companies. 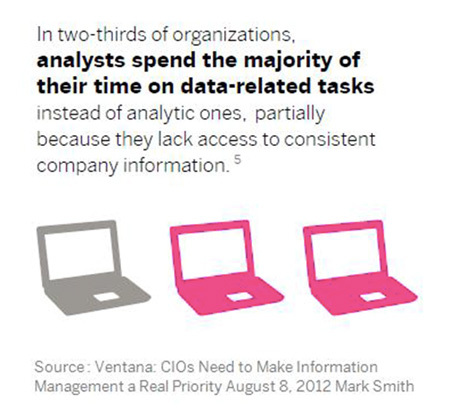 It's interactive, meaning data is submitted and maintained by its many subscribers. Complete Records - Data.com states that their contact records are 100% complete, showing name, phone number, email, company, job title and address. Range of Price Tiers - With plans starting at USD $250 a year for 350 contacts, the platform might be a good option for businesses who are just looking to run a smaller campaign. Easy to Manage - The platform is simple to use and doesn't require any technical know-how to use it efficiently. Sourced Without Consent - The platform offers the opportunity for users to receive a free contact, by giving them one of theirs. The person who is added to the database will not have given their permission for their details to be published, and they are also not told who added them. Expensive - Although Data.com does offer low price tiers for those who don't need many contacts, it can work out very expensive for those looking to run a larger campaign. Their top-priced plan is USD $1,500 a year for 3,600 contacts - users wanting to buy additional contacts will have to pay $0.50 for each one. Inaccurate - There have been reports from users of the platform that the data it holds is inaccurate. For example, it's been said that mistakes regarding the size of companies exist (some are listed with the wrong number of employees), alongside errors in phone numbers. While choosing a data provider that is right for your business can take a bit of time, it's best to consider each option carefully in order to determine which will offer your marketing campaigns the greatest value. If you'd like to find out why so many companies are choosing to trust Global Database with their lead generation, visit our website at GlobalDatabase.com to book a free demo, or watch our short video here.